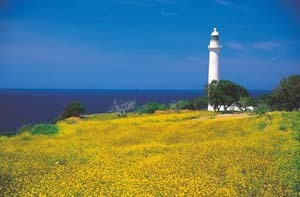 The first known lighthouse was built by the Phoenicians at Sigeon (today's Çanakkale-Kumkale) in the 7th century B.C. The lighthouse at Alexandria, one of the most imposing structures of antiquity, was built by Sostrates of Cnidus on the island of Pharos in 280 B.C., giving its name to the Turkish for lighthouses, “fener”. There are 415 lighthouses of varying size along Turkey's 8334 km coastline. The great majority of her lighthouses on the Turkish coast were built by the French under a concession granted in 1855 by the Ottoman Sultan. 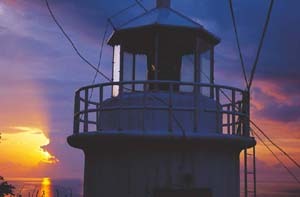 Since then, lighthouses have been operated in turn by the General Directorate of Lighthouses, the Maritime Bank from 1938, the Maritime Enterprises from 1984 and, since 1997, by the Coast Guard and the General Directorate of Ship Rescue Operations. 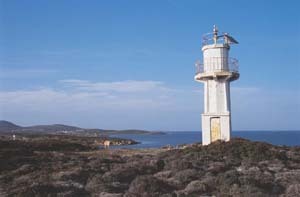 Taslik Point (Gelidonya), with its five islands surrounding an emerald green peninsula, ranks among Turkey's most beautiful lighthouses. 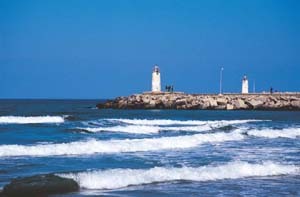 Seddülbahir, which rises from a windy slope at the tip of the Gallipoli peninsula; Deveboynu, overlooking the ancient city of Cnidus at the summit of a peninsula behind two inlets embracing the Aegean and the Mediterranean; the Hatay-Akinci lighthouse, rising from a setting where pine forests meet the sea; Kizilada, one of the loveliest islands in the Bay of Fethiye, which harbors countless still untouched villages; and the Kiz Kulesi or Maiden's Tower, jewel of the Bosphorus, are just a few of Turkey's other impressive lighthouses. Because they were built far from residential areas, lighthouses over the centuries have been the custodians of solitude. Those built on islands such as Süngükaya, Fener, Peksimet, Delik, Tavsan, Kizil, Türkeli, Altin and Kefken preserve a certain pristine aura due to their location. These stone towers, which either rise from within a tiny house on land or are attached to a buoy or pontoon or, most commonly, are situated at the end of a breakwater, stand out for their unusual features. 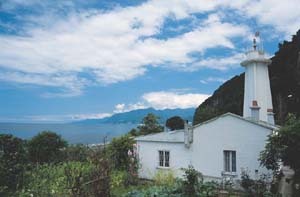 The largest lighthouse in Turkey is the one at Sile, octagonally shaped with prominent black and white stripes. 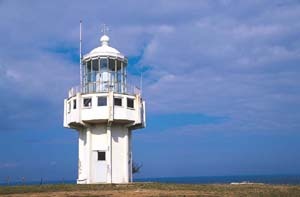 By height, Rumelifeneri ranks first (30 m) and Ahirkapi lighthouse second (29 m). Among those whose lights loom highest above sea level are the lighthouses at Alanya (209 m), Hatay-Akinciburnu (109 m) and Sinop-Boztepe (107 m), the highest being the one at Gelidonya (237 m). 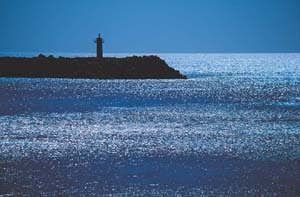 Meanwhile Sinop-Inceburun is Turkey's northernmost lighthouse and Anamur its southernmost. Istanbul, which, thanks to its exposure to the Black Sea and the Sea of Marmara, boasts a total of 37 lighthouses on its shores and islands. Large and small, there are 19 lighthouses on the shores of the Bosporus alone, a scene of heavy maritime traffic. Those on the European shore emit green light, those on the Asian side red. With the lighthouses of Rumeli (European side) and Anadolu (Asian side) flanking the Black Sea entrance to the Bosporus, the Maiden's Tower, which floats amid passing ships like a bride, the Ahirkapi lighthouse, which blinks at 2-second intervals, the 23-meter-tall lighthouse at Yesilköy, and the lighthouse at Fenerbahçe on the Marmara shore as well as those on the islands, Istanbul is a virtual 'lighthouse haven'. Now that their functionality is waning, the Coast Guard is planning to open up these 'beacons of hope' to tourism. 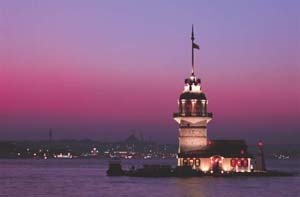 The first examples in Turkey will include the lighthouses of Istanbul. These lighthouses, which are slated to be operated as restaurants, hotels, cafes or museums, will soon start contributing to the promotion of tourism in Turkey by hosting visitors.